19% of all women say that this is the worst thing about moving out of state; what is it? 19% of all women say that the worst thing about moving out of state is finding a new hair stylist. 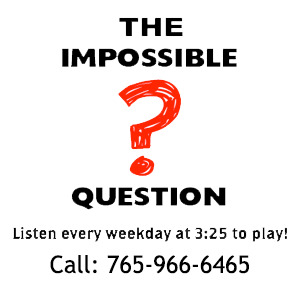 Congratulations to Kristy Creech of Greensfork, IN being the first to correctly answer the Impossible Question!